While it may be touch to pin down Take It With You in a few brief words, Thomas has explained it pretty well. It’s an old-timey radio show just in downloadable form. 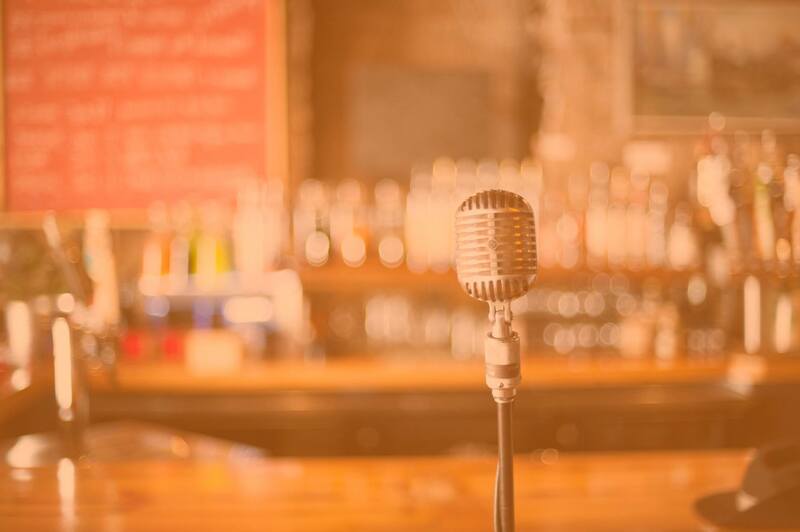 It’s folksy and Minnesota-centric and it take places in a bar. With two seasons and 16 episodes so far, it’s become a success, with devoted fans filling the seats at the live show and downloading the mp3s like crazy. For Thomas, it’s been quite the journey from inception to execution. “It all started with a musical called Stay Tuned,” he says. This Osseo, Minnesota production was co-written by Thomas, and it shared presentation elements with what later became Take It With You. “Tom Isbell, a professor at UMD, came down to see the show. 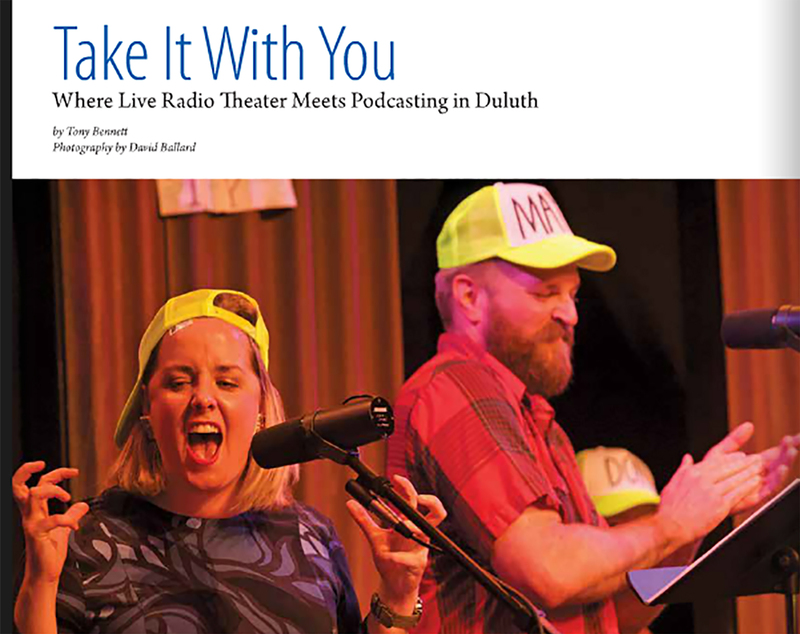 It was Tom who suggested that we come up and check out a space in Duluth: The Underground.” Isbell also suggested morphing the musical into what became Take It With You. “He put the bug in our minds,” Thomas said. To read the full article, visit duluthsuperiorliving.net. Get Tickets to Season Three’s Kick-Off Episode! Ticket Prices: $15 per person, or purchase a Season 3 membership for $195. Learn more about the season membership here. Learn more about Take It With You by liking them and The Underground on Facebook. This entry was posted in The Underground and tagged blake thomas, live radio theater, take it with you, the duluth playhouse, the underground, TIWY by phoffice. Bookmark the permalink.